It was really convenient to follow the news of this event as my wife and I often tune in to HISTORY (Channel) & Lifetime. If we’re not watching Pickers, Storage Wars, Counting Cars… it would be Master Chef Australia. Apart from that HISTORY has got documentaries or miniseries that would catch my fancy: SIX, The War Fighters, Superheroes Decoded just to name a few. So last year we caught the teaser… HISTORY Con… coming to you! And my wife and I were excited till later they announced it was Manila! Ok, excitement neutralized. Of course, it was nice to see highlights… then again it is nice to see San Diego Comic-Con Hall H highlights too minus the real presence haha. Anyhow, a year later… oh the trailer is back… showing all the Manila highlights… how nice to see it again! And then the it was announced… coming to you MALAYSIA!! Wow, now that had an impact for sure!! With imaginations running wild, the sudden urge to drop everything and get online to find leads on where, when, who will be coming. HISTORY Con just became legit for Malaysia fans! As time went on, the more official information was released but the event actual was still hard to imagine as the event trailers kept showing footage from HISTORY Con Philippines 2016. With this I was determined to go early on event day Friday so that the costuming folks would have a better idea on what to expect. A big thank you to A+E Networks for granting us access for the opening ceremony. 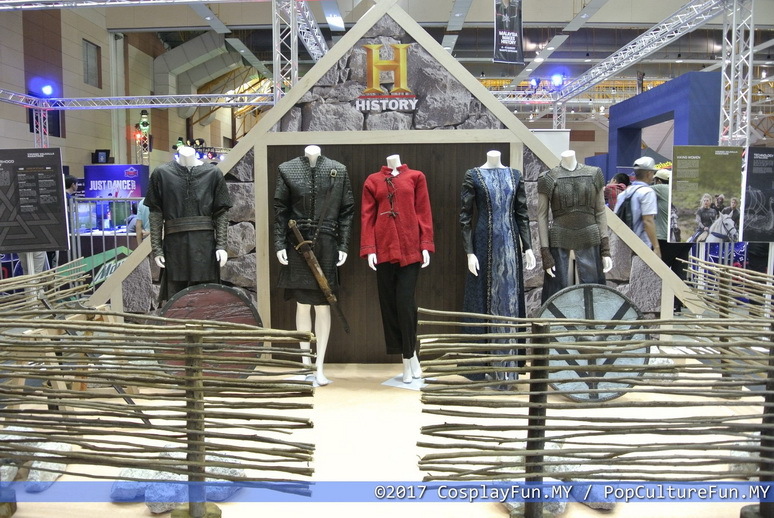 If you were thinking, what does cosplay have to do with history or HISTORY Channel? I would answer… are you kidding me? Why not? haha What directly came to mind when I saw the event announcement was our local community folks – W.A.R. which stands for We Are Reenactors a subdivision of Malaysia Renactors. 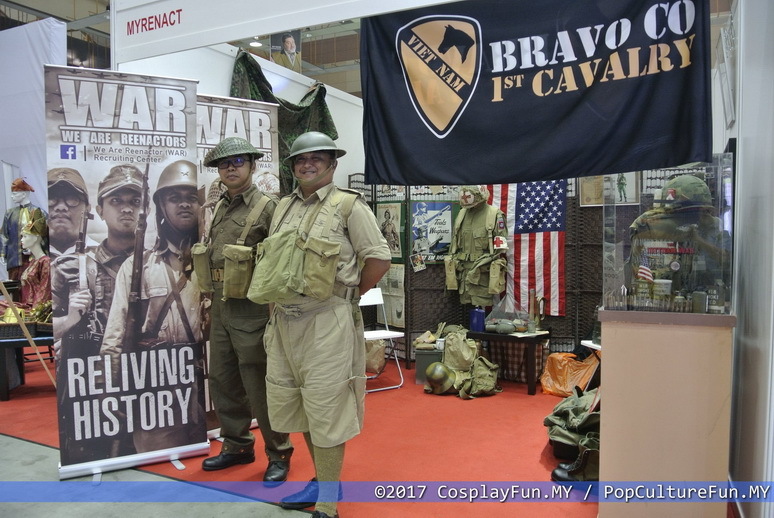 These guys whom I’ve known for a decade now… are real enthusiast on World War 1 / World War 2 military uniforms and collectors of authentic gear from that era. It’s the perfect pairing! The other group I couldn’t get out my head was the Assassin’s Creed (video game) costuming fans. What a great way to get ‘INTO’ history then to play any chapter of this ground-breaking video game series. It was surreal for me, roaming the streets of Jerusalem, Damascus and Acre… in all its historical authenticity. The game sequels then continue to map pivotal moments in world history (Renaissance, Colonial Era, French Revolution, Imperial China, Victorian era, Sikh Empire, October Revolution, Ptolemaic Egypt) and lets us get an immersive experience of each era with accurate visual depiction, proportionate scaling and great voice acting through! With the release of the live action movie last year, costuming fans came out with full force with the fandom reaching its most celebrated moment! So, this was just 2 of the groups that quickly came to mind. What else is out there? Samurai era, Ninja’s, a 17th Century Pirates vs East India Trading Company? Roman Gladiator? The 300 Spartans anyone?? All this historical excitement is unlocked with this event genre!! huhu Don’t even get me started with movie specific titles… or super heroes or anime or comics or games!! Gotham by Gaslight, Captain America: The First Avenger, Kuroshitsuji, Hakuoki, Dynasty Warriors… ahem! So exciting! Friday, 4 August 2017: It was certainly a grand affair for a first-time event. MAEPS is very known for being one of the large (if not largest) pillar-less convention halls in the Klang Valley. My imagination was wild at what they could possibly fill the hall with. With both indoor & outdoor content…. And not to forget sporting too… it was going to be massive. So Friday was the day of the launch & opening of this event. Even before all the guest arrived… there were bus loads of students lining up & marching in. I could feel that this ‘rombongan’ was going to be a real treat for them. Primary & Secondary… boys & girls were carefully arranged to get full view of the stage… and of course after the launch… FIRST full access to the event huhu… so much to see, play and most of all… so much to learn!! I just thought that this was a great idea to include the kids!! Well done organisers!! The vintage cars display, greeted everyone as we entered and the main stage area was directly in the middle of the hall. We had a lot of our local historical organisations involved so it was very educational for both locals & foreigners. This area was called the ‘Heritage’ area. One of four area in this big hall. The others were ‘Motoring’, ‘Lifetime’ and ‘His Cave’ haha Geeks and pop culture fans will know what the phrase “MAN CAVE” means haha. In this ‘Heritage’ area we had The Historical Society OF Kuala Lumpur, Jabatan Muzium Negara, Muzium Tentera Darat, Jabatan Bomba Malaysia, Forged in Fire booth Purba displaying antique Keris from different eras etc. My favourite was the Muzium Negara mini palaeontology area for kids… and adults. It was a chance at kids… and adults to try how it feels like to be a dinosaur (bone) hunter hehe Dr. Ross Geller (Friends)! My favourite at the ‘His Cave’ area was the Vikings area. They had some fan made Lego Viking ships, a giant cut away board to take pics with. The jewel of the displays were the actual costumes worn by Ragnar Lothbrok and Lagertha in the HISTORY series Vikings. The Photo-faceoff show was such an interesting idea in concept… but how to run it, now that would have been a challenge. So out of much curiosity & had to watch it to find out how it would be done. After binge watching here & there I convinced that the highlight of the show is actually Mr. Justin Mott!! Haha As a fellow coach & teacher, I think you make a great teacher… mentor Mr. Justin! His endless enthusiasm, antics & energy is contagious if you buy into what he is trying to say. It was fun to see him live in person… and it’s true! He is so animated that I think he is fun subject to shoot! Fortunate for those of you who managed to get into his photography work shop!! 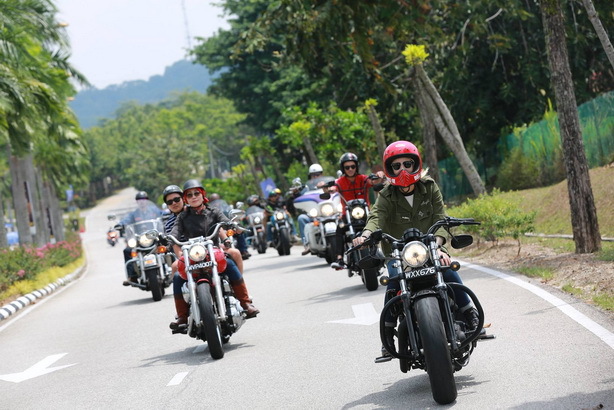 The ‘Motoring’ area had a lot of… you guessed it – motor cars & motor bikes haha! The charm however was of the vintage, rare, restored and specially customized. This is where you would find ‘Horny’ Mike Henry from Counting Cars and Jaime Dempsey from Ride N Seek. What would the final ‘Lifetime’ area have to top all of this off? Well they had this!!! The set likeness is uncanny. And this was recently built might you! I think the contractors did a great job. 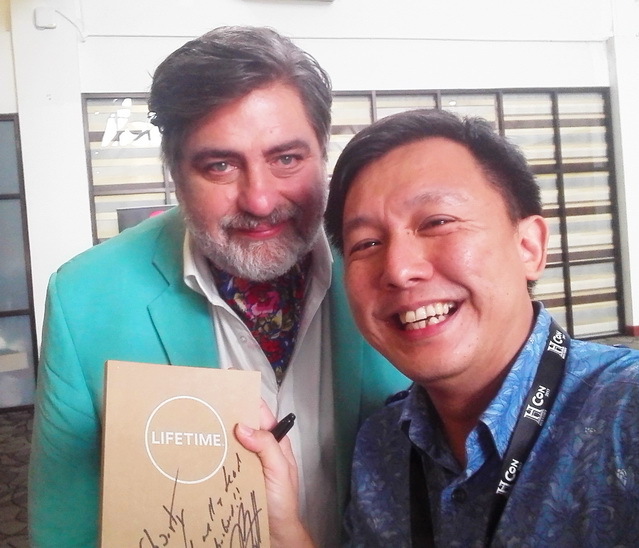 Now the only part I missed was to actually be present here & have Matt Preston give a live cooking demo together with my wife! It would have been the equivalent of the both of us getting off the couch & jumping right into the TV screen on a weekday night! That would really make our day!! These were the four main areas in the hall but there were still more to experience. There was an actual badminton court set up where we could play against the former Malaysia greats like Cheah Soon Kit. This was the Ministry of Youth & Sports zone. 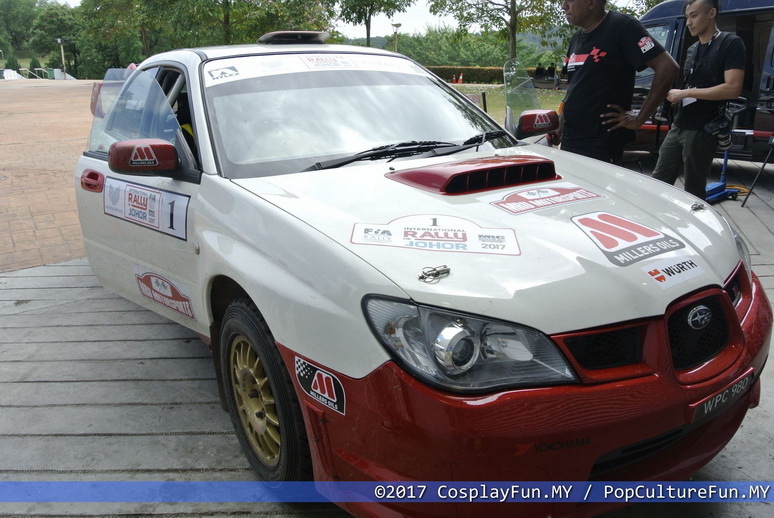 Outside we had the opportunity to not only watch our Malaysian rally car legend in action but we could get into his 2006 Subaru WRX Impreza! This is Mr. Karamjit Singh! His car & his skills are LEGIT! Also, outside was the chance to catch Ms. Jaime Dempsey in her element… on a bike… with a helmet on… cruising! All in, I think it was a great event… and even more impressive as it was a debut event. 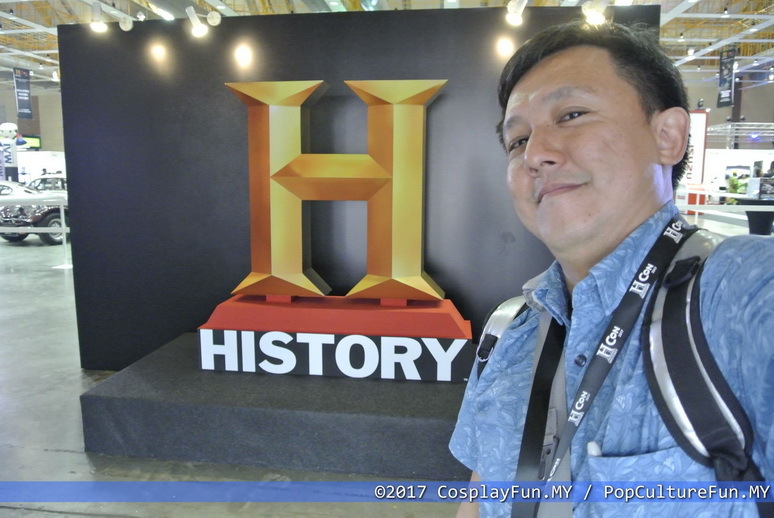 I may be biased because my wife & I really enjoy watching HISTORY and Lifetime but from my experience in the local entertainment industry and with pop culture conventions, I still think it was a very good event. There was something for everyone and for every age. Parents could bring their kids and everyone would have enjoyed at least something at HISTORY Con. And most of all, everyone would have learnt something new. Just 3 weeks back, we had three Hollywood stars grace our nation for a red-carpet Hollywood movie premiere. For as long I can remember, nothing like this has happened before for our country. 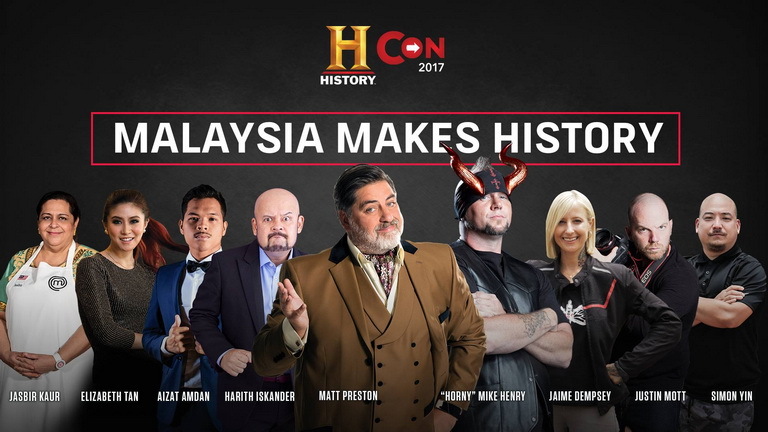 Now HISTORY Con brings all these TV stars to Malaysia. Wow! So right now there is nothing but awe and gratitude… with a pitch of hopeful-excitement looking to next year. A big thank you to A+E Networks Asia for having this in Malaysia. And to sponsors, production crew, coordinators and the 21,000 visitors who came to support this event. Looking forward to HISTORY Con 2018! 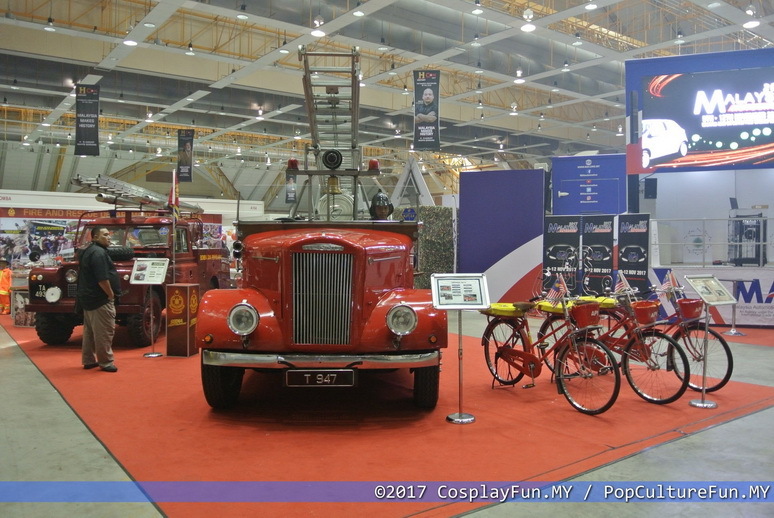 OVER 21,000 PEOPLE JOINED INTERNATIONAL CELEBRITIES AND MALAYSIAN LUMINARIES AT HISTORY CON® 2017, THE BIGGEST ENTERTAINMENT CONVENTION OF THE YEAR. HISTORY® also honours 10 Malaysians for their significant contribution to the nation’s life and culture at the inaugural HISTORY Maker Awards 2017. 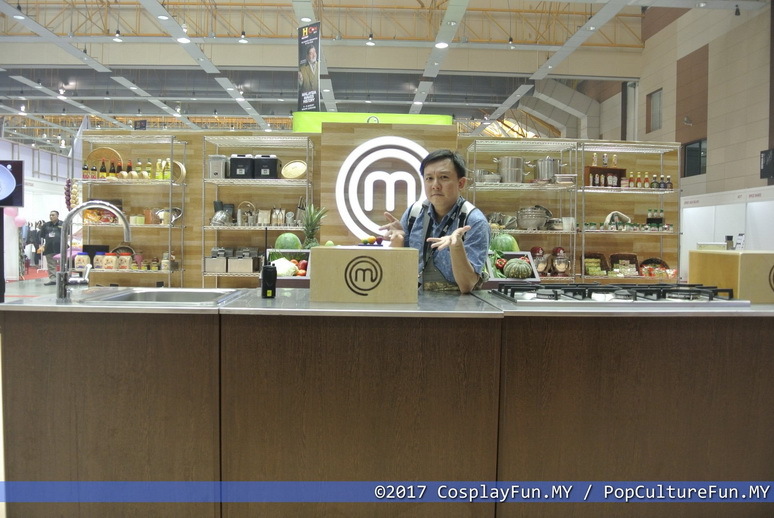 KUALA LUMPUR, 6th August 2017: HISTORY Con 2017, the first-ever mega entertainment convention in Malaysia saw popular HISTORY® and LIFETIME® celebrities such as “Horny” Mike Henry (Counting Cars), Jaime Dempsey (Ride N’ Seek), Justin Mott (Photo Face-off), iconic comedian Harith Iskander (Celebrity Car Wars), Matt Preston (MasterChef Australia judge), and Malaysia’s favourite chef, Jasbir Kaur (MasterChef Asia finalist) gather once more at the Malaysia Agro Exposition Park Serdang (MAEPS) for the official closing ceremony on 6th August. The stunning mega finale showcase was closed by Deputy Managing Director of A+E Networks Asia Pacific, Prem Kamath. Precluding the official closing ceremony, as part of HISTORY’s 10th anniversary celebration in Asia, 10 Malaysian luminaries were honoured for their significant contributions to the nation’s life and culture with the inaugural HISTORY Maker Awards. Guest-of-honour and Deputy Minister of Agriculture and Agro-based Industry, Y.B. Dato’ Nogeh Gumbek officiated the award ceremony with the stellar attendance of the awardees, namely Datin Paduka Marina Mahathir, Datuk Mohammad Nor Khalid (better known as Lat), Emeritus Professor Tan Sri Dato’ Dr. Khoo Kay Kim, Cheah Soon Kit, Karamjit Singh, and more. Malaysia’s first-ever HISTORY Con, which housed a host of exhibitions and activities for all ages and interests, from automotive fans and aspiring chefs to history buffs and sports enthusiasts, saw thousands thronging to see their favourite HISTORY® and LIFETIME® celebrities, or event try their skill against Malaysian badminton legends Hafiz Hashim and Cheah Soon Kit, including riding as passengers of accomplished rally driver Karamjit Singh. Over the course of three days, visitors availed themselves of five unique zones including a range of outdoor activities. 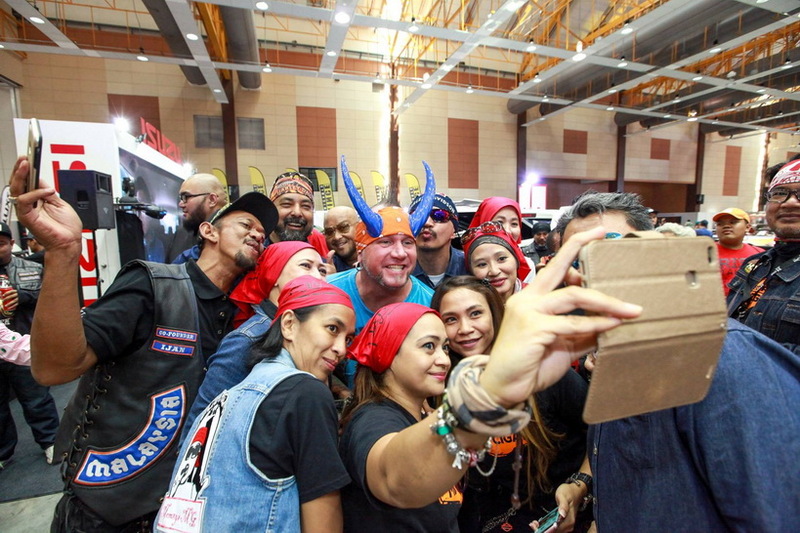 The Motoring Zone encompassed both classic cars and motorbikes, including “live” airbrushing demos, while the Games Zone attracted scores of football fans with its FIFA 2017 Borneo E-Arena Qualifier 2 and Mini Escape Room. 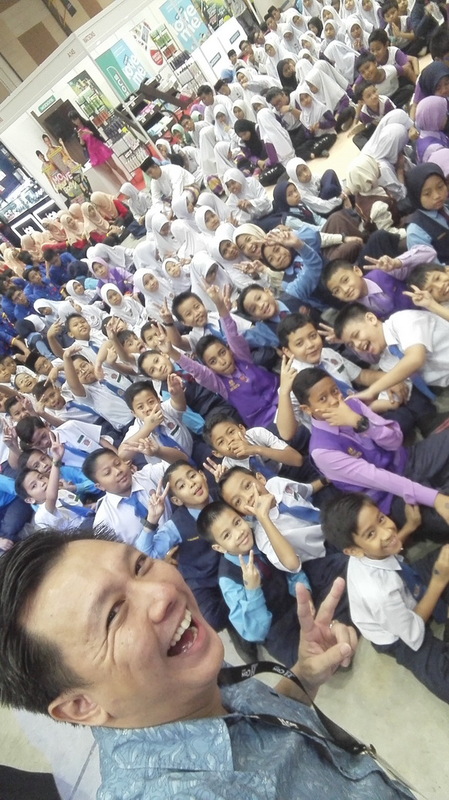 The Malaysian History Zone with its interactive exhibition from the National Museum and nostalgic display from POS Malaysia was further livened up with a blast from the far past in the form of life-sized dinosaurs, and national pride ran high in the Sports Zone with badminton tournaments and a special exhibition from the Ministry of Youth and Sports. Last but least, the exclusive LIFETIME® Experience Zone captivated visitors with cooking demonstrations, free screenings of LIFETIME® Original Movies, and free photography at the unique light graffiti photo booth. HISTORY® is available on ASTRO 555 and 575 in HD; for more information about HISTORY®, visit www.historyasia.com.